The speaker, who is very articulate, argues that the comet swarm and debris theories are unlikely to account for 22% dimming at irregular intervals. A ringed partial Dyson Sphere could account for it. 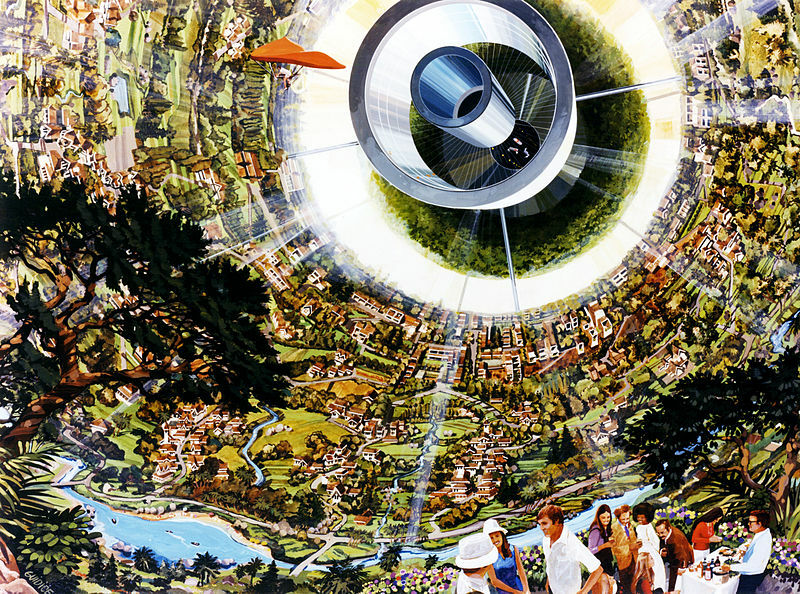 Imagine a hotel room on one of the rings, with artificial gravity. But it would take 1400 years for your Facebook post to arrive back on Earth. The speaker also explains Dyson swarms, which would cover many stars in a galaxy, and speculates on Civilization types, one of which might have swarmed out a whole area of galaxies leaving “Fuyt’s Void”. Here’s a good article on Futurism as to Humanity’s capabilities. 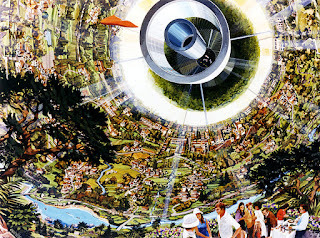 NASA Bernal Sphere colony illustration, public domain, wki.